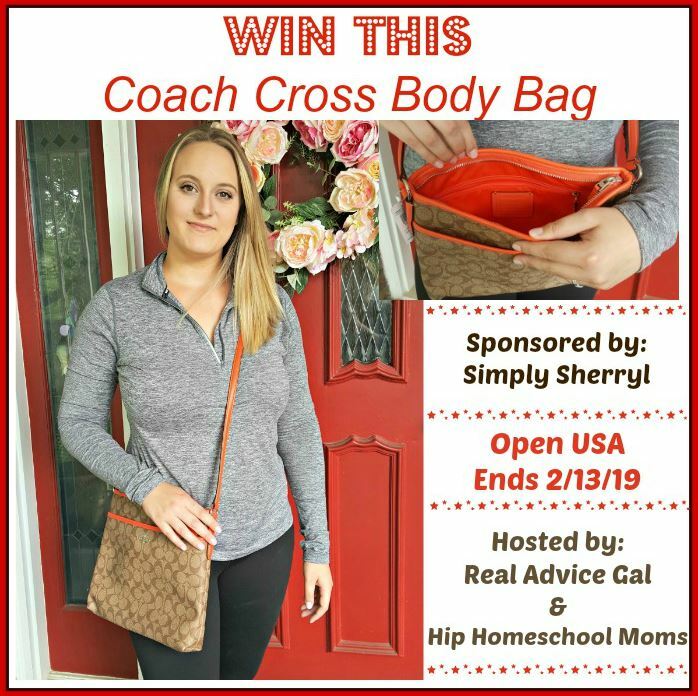 Enter to Win This Fantastic Coach Cross-Body Purse! 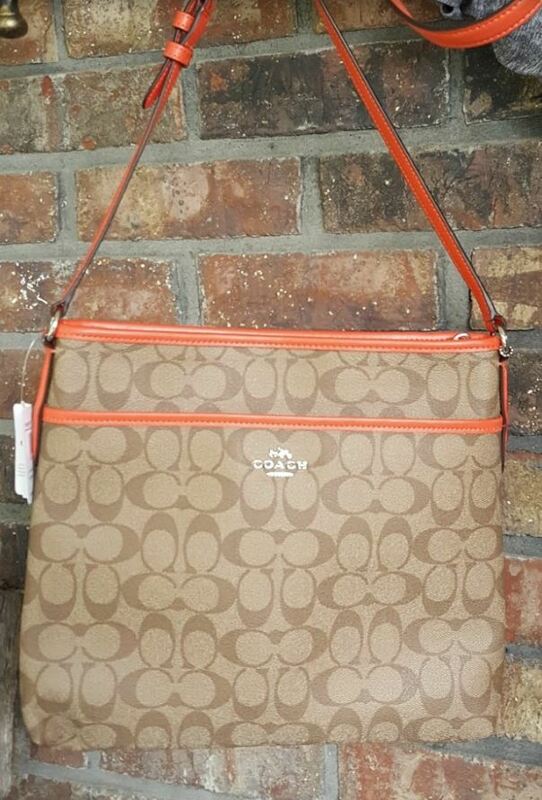 I don’t know about you, but Coach purses are so darn expensive, I just can’t justify buying one for myself right now! But I so love the workmanship and quality … not to mention the fun colors! I just got back from Israel and I only took one purse. A cross body purse. I’m so glad I had it! Having a cross body frees up your hands to manage other stuff. And since we are all moms, chances are that stuff is helping our kiddos! I’m super excited to partner up with some blogger friends to bring you this fantastic giveaway! This event is coordinated by Simply Sherryl and hosted by Amee ove at Real Advice Gal and Wendy and I here at Hip Homeschool Moms. It starts 1/23/19 at 12:01 AM EST and end on 2/12/19 at 11:59 PM EST. Please wait for the giveaway code to load above. Once it has loaded, please be sure to read the rules and details below and enter to win. Remember, you can enter daily, so be sure to head over back to grab your daily entries to increase your odds of winning! We are not associated with any of the companies named above. The odds of winning are based on the number of entries received. The giveaway is open, as indicated above, to those 18 years and older only. The confirmed Winner(s) will be contacted by email. Winner(s) have 24 hours to respond before a new winner is chosen. No purchase necessary. Void where prohibited by law. The sponsor(s) will be responsible for product shipment to winner(s) of this giveaway. Hip Homeschool Moms and any other blog(s) participating are not responsible for product shipment/delivery. 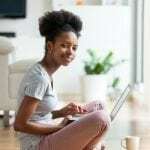 This event is in no way administered, sponsored, or endorsed by, or associated with, Facebook and/or Twitter, Google, or Pinterest. This disclosure is done in accordance with the Federal Trade Commission 10 CFR, Part 255 Guides Concerning the Use of Endorsements. Entrants must only enter with either one email address, IP address and/or Facebook account, anyone found violating these rules will be disqualified. It is at the sole discretion of the sponsor of this giveaway if the winner has met the rules or not. The sponsor reserves the right to deny entries submitted by fraudulent and/or duplicate accounts. Where Are the BEST Amazon Prime Day Deals? I can’t see an actual place to enter? I followed on Twitter. But no entry popped up? My fave purse is a denim purse I got at the thrift store. 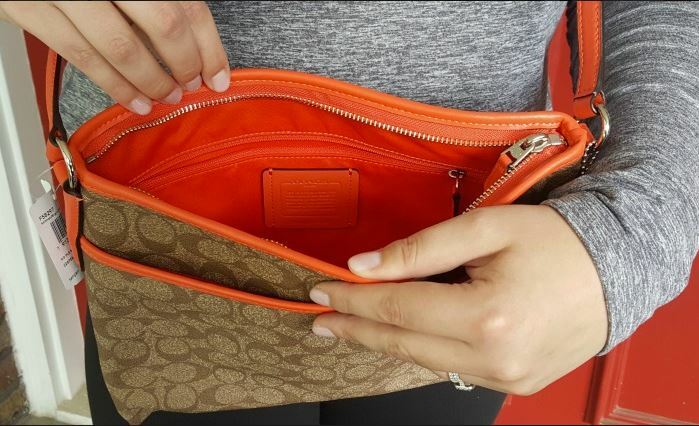 It has just the right amount of pockets and the straps are the perfect length. I dont often carry my whole purse. Usually I just carry my wallet.